There is a fun TAG going around where bloggers ask their significant other to describe a list of makeup items and their purpose. I couldn’t wait to jump on the bandwagon and ask my husband the questions, here is how it went. A primer is something you use on your face before the rest of the makeup to help it stick. A little bit like sanding the wall before painting. Foundation is like in construction when you lay down the groundwork, in this case it’s the base layer normally matched to the colour of your skin. I’m fairly sure this isn’t in reference to a wild party so I’m going to go with a powder being used to stop shine in other makeup. This is easy, a concealer is used to conceal things, it’s a little layer of trickery used to hide blemishes and things. Bronzer is used to make you look like Snooki from the Geordie Shore. That I’m a healthy outdoors person without all the effort… just try not to go oompa loompa with it. Blusher is used to give your cheeks more colour, providing the illusion of active capillaries in the skin in the attempt to mimic the natural effect of blushing one might make in the process of courting a mate in the wild. A highlighter sounds like something in a school pencil case, so I’m going to say it’s used to accentuate certain features. To highlight the naturally good bits like maybe nice cheekbones and the like. Mascara is used to plump and add colour to eyelashes, I think this along with foundation and lipstick are the three essential makeup items that women have been using for generations. Eyeshadow is used to give your eyelids all kinds of wacky colour, personally I don’t understand why people use super bright coloured eyeshadow though? If you want an idea of what NOT to do with eyeshadow do an image search for Mimi from The Drew Carey show. Eyeliner is used to draw a line across your eyelid it is also often used to draw small accentuations on the side of your eyes. I’d like to see this taken a little further and instead of a simple wing maybe a drawing of a small animal or something? Have you ever noticed that Brow is one of those words that just loses all meaning when you say it out loud a couple of times in a row? A Brow pencil is used to colour in your eyebrows to create the desired shape, very useful just after shaving a mono-brow. Lipstick is the cornerstone of the makeup draw, it allows you to give your lips a new colour every day. Fun fact; it was originally worn by both men and women to show their affluence or social status. Setting spray is used after all the makeup has been applied, sort of like spraying a lacquer over a finished canvas. BB Cream is not quite as good as AA cream but it’s better than CC cream. I don’t really know what this is but something in the back of my mind is telling me it’s some sort of cream worn at night which is supposed to rejuvenate the skin while you sleep. Monomola Eyebrow Tattoo Hit or Miss? Thank you ☺ Glad you enjoyed it! Literally begging the bf to do this post with me with the promise I’ll show him other guys answers after and that he shall remain nameless. I loved his comparisons ☺ He did so well! You should totally do this post with your boyfriend, it’s so much fun! can i do this with my boyfriend too? 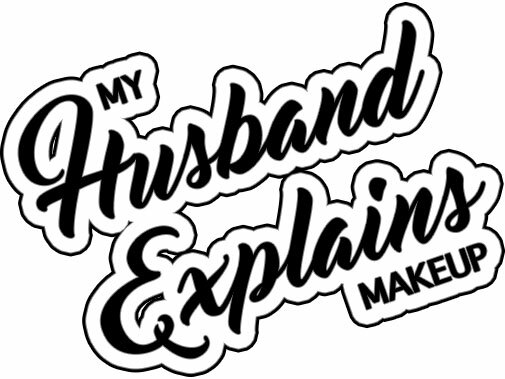 Awesome job your husbands explanations are awesome!! Haha I know right ☺ Less is more! So, I asked my husband the questions last night. Let’s just say I was highly entertained 😉 I’ll post it soon. You should definitely ask your husband to do it, it’s so much fun! He’s pretty knowledgeable! I am so impressed! Me too 🙂 He did really well! Yeah, *I* barely know what BB cream is! Hubby did well!